kettle on – only to remember I didn’t need boiling water. 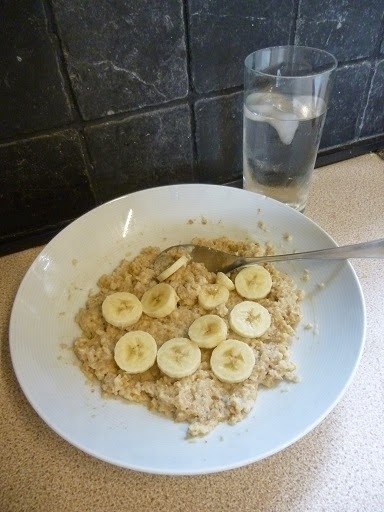 instead, and couldn’t afford enough milk to do tea as well as porridge. bowl, reluctant to throw any away. fridge ready for later in the week. made from natural yogurt, salt and pepper was surprisingly nice. withdrawal?) and attacked the garden instead. especially as it made two portions ready for another meal. later in the week. I may yet run out of Tupperware at this rate. boiled up 100g of the frozen green beans. 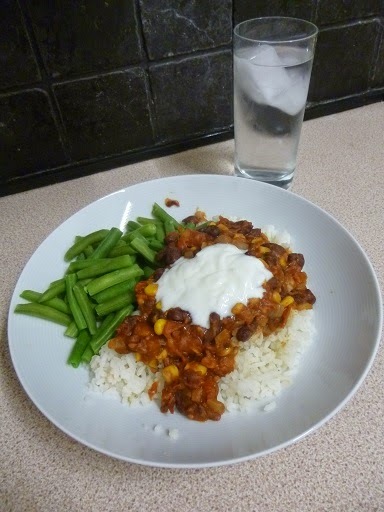 The end result tasted good, with a decent kick of chilli. The first day went pretty well. 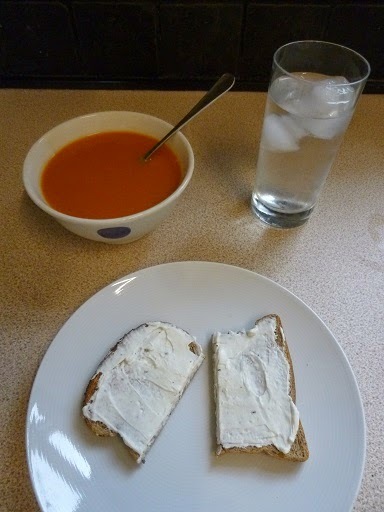 I managed to make three meals and a snack for 83p, and it only got better after the overload of wallpaper paste porridge (maybe if I use more water tomorrow?). The food actually tasted of something, thanks to the stock cubes and the chilli powder from the storecupboard. I was never gnawingly hungry, although I did have to keep catching myself from picking at the children’s food. Hadn’t realised how often I’ll nab a carrot stick or piece of celery or couple of grapes while doling out meals. 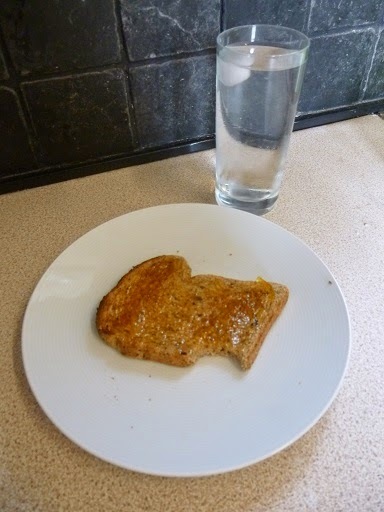 However, I was all too aware I couldn’t have any more – setting side half a banana, ekeing out the cans of kidney beans and tomatoes, holding back from another slice of bread. Working from home, I had the time, equipment and inclination to do all the cooking required, which would make it an impossibility for many people genuinely living below the line. For me, I can look back and say “one day down, four to go”. For 1.2 billion people worldwide, living on £1 a day continues day after day after day. It's one of the things I'll continue making after LBTL, as it tastes really good!